To be honest, these people mean the world to me. 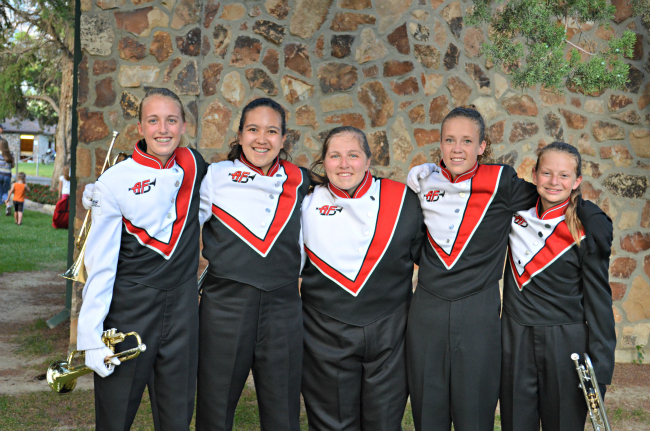 (plus the ones not pictured) We have already endured a week-long band camp, many practices, and parties. We have sweated, laughed, and been totally exhausted together. 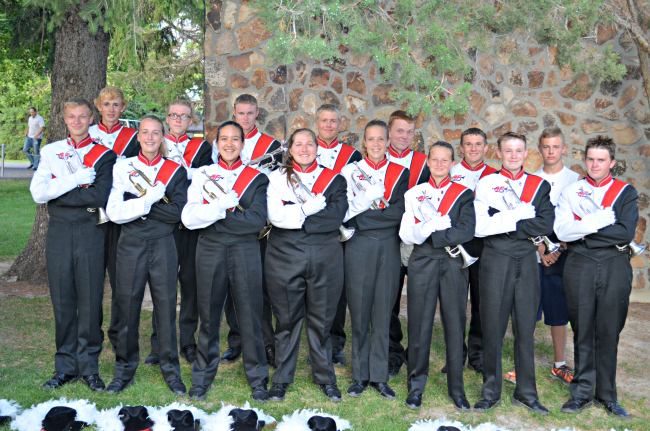 Our section has already gotten so close in the two months that we have been together. I have to keep reminding myself that this is it. Finals starts now. We can't start being intense at the very end of the season. The intensity starts now. The more that we give now, the more we take out later. I want to leave the field after our performance with no regrets. This show isn't just for us; it's for all the people who have been supporting us since day one. Our wonderful staff, Mr Miller, and the great seniors who have been through it all to make sure that we look and sound amazing. We owe it to them to give our best the whole season this year. I am so excited to see how we improve and how much closer we can become. I love these beautiful people so much! Kiana! Good luck throughout the season! It sounds like something that you truly love. Anyways, I just thought I'd let you know that I nominated you for the liebster award and you could read more about it over at my blog! I adore your blog so much!